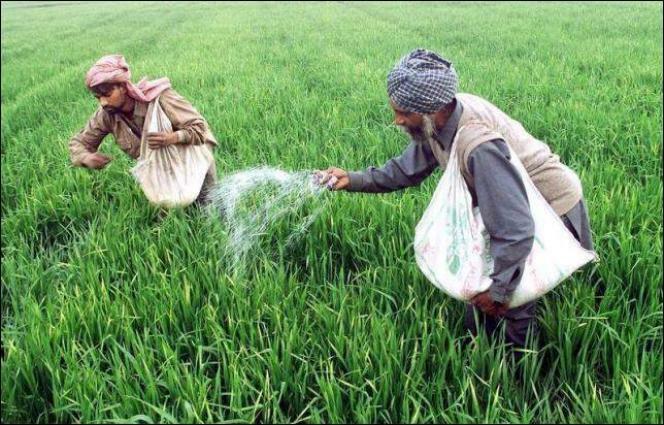 KARACHI, (UrduPoint / Pakistan Point News - 17th Apr, 2019 ) :Activists here on Wednesday cited Sindh Agriculture Policy 2018-2030 to be least peasants friendly with little consideration towards protection of the rights of farmers in the province. Addressing a conference at Karachi Press Club to mark the International Day of Peasants' Struggles, jointly organised by Hari Welfare Association and Pakistan Institute of Labour education and Research (PILER), they claimed that the provincial policy also ignores the issue of large land holdings. "The policy ignores the issue of land holdings and land reforms," maintained Akram Ali Khaskheli associated with Hari Welfare Association. Mentioning that the policy considers poverty as an outcome of sharecropping system in Sindh, he regretted that big landholding and non-implementation of the Sindh Tenancy Act have been simply ignored. "It would be appropriate to mention that in our province 56% of total land and about 60% of all peasants are sharecroppers," said Zulfiqar Shah of PILER. Iqbal Ahmed Detho opined that under the Sindh Agriculture Policy 2018 neither the Sindh Labour System Abolition Act 2016 was implemented nor was amended as a law to protect the rights of peasants. Labour rights activist Karamat Ali lamented that plight of many of the peasants who are made bonded on false or illegal pretexts does not seem to end in any near future. The event that coincided with the launch of a report "The State of Peasants's Right in Sindh 2018" was also addressed by Muhammad Ali Shah, Punhal Sairo and Dr. Asho Thama.